South Africa is one of the fastest developing countries in Africa. With a population of over 53 million people, there are many opportunities still to be exploited all over South Africa. 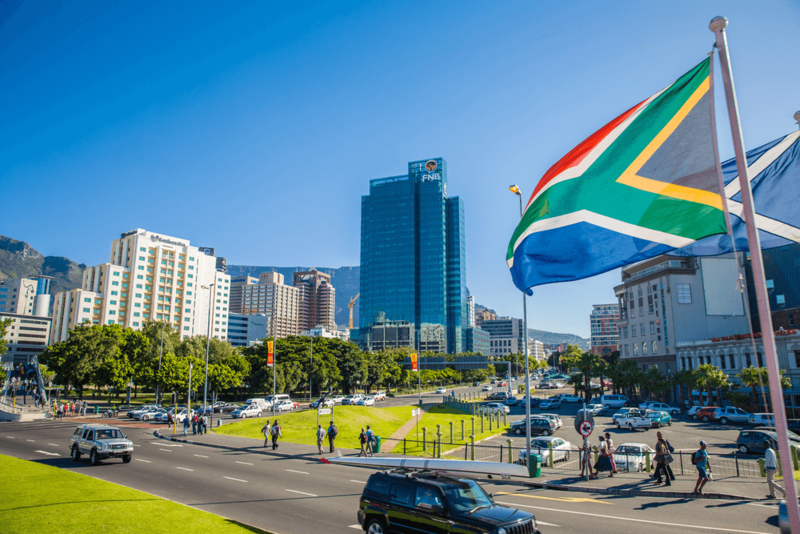 Here are 10 companies that dominate the South African landscape. Top of this list is Naspers. The company is well ahead of any other company on this list with a market value of $75.4bn, leaving Sasol a distant second. The value of Naspers is nearly four times that of the second company on the list! Naspers Ltd. currently holds the highest market value of any company in all South Africa. The company is operating in the broadcasting and cable industry, providing a television platform, print media, internet services, technology products and book publishing services. It is currently operating in over 120 countries of the world. Naspers runs some of the leading internet, video, media and entertainment platforms in the world. Second company on this list is Sasol Ltd. It is the only Chemical company on this list. Sasol engages in the manufacture of industrial chemicals. The company also specializes in the development of technologies to improve the production of liquid fuels, chemicals, low-carbon electricity, and others. The company currently has over 30,000 employees on its payroll spread across 33 countries. The headquarters of Sasol is in Johannesburg, South Africa. The market value of Sasol Ltd. is at $19.8 billion. Third on the list is FirstRand. The company has a market value of $18.2bn. It is registered as a bank controlling company in South Africa. Since being founded in the year 1970, First Rand has grown through its portfolio of leading financial services franchises that provide a universal set of transactional lending, investment and insurance services. The First Rand group’s portfolio includes FNB, RMB, WesBank and Ashburton Investment. Number 4 on this list belongs to the popular network information technology service provider, MTN Group Ltd. The company aims to deliver local, national and international telecommunications services, broadband, mobile, and other internet products and services in developing markets of the world. The company is currently operating in several countries on the African continent including Nigeria. The company makes lots of investments in the industry through its several subsidiary companies, joint ventures, and associates. The market value of MTN Group stands at $16.6 billion. The Standard Bank Group is currently the largest African banking group by assets. The company engages in the business of banking and financial services. The company is based in Johannesburg, South Africa and offers a multitude of services including transactional banking, saving, borrowing, lending, investment, insurance, risk management, wealth management and advisory services. Standard Bank has one of the most substantial heritages of all companies on the list have been founded in the year 1862. The company is currently valued at $15.9 billion. 6th on this list is Sanlam Ltd. Sanlam much like MMI Holdings, operates as an insurance specialist, providing financial solutions to the individual as well as institutional clients. Some of the solutions that the company currently offers include personal financial services such as estate planning, wills, personal loans, health management, savings, and several others. Sanlam oversees five segments of operation which are: Sanlam Personal Finance, Sanlam Emerging Markets, Sanlam Investments, Sanlam and Corporate & Others. The market value of Sanlam currently stands at $9.5 billion. Remgro is the next company to feature on this list. It is an Investment Holdings company and places in seventh with a market value of $8.4bn. The company makes investments across a wide range of sectors including food, liquor, home care, banking, healthcare, insurance, industrial, infrastructure, media, and sport, among several others. Africa’s largest food retailer, Shoprite Holdings makes the list in 8th place. The company boasts of about 2,689 outlets spread across 15 African countries and Indian Ocean Islands, with over 144,000 employees on its payroll. The Shoprite Group consists of 14 retail brands including Shoprite, Usave, and Checkers, to meet the wide range of needs of consumers across all the retail market segments, anywhere from food to furniture. The penultimate company on this list is Bid Corp. The company’s headquarters is in the beautiful city of Johannesburg, South Africa. The market value of the Bid Corp. more than doubles the market value of MMI Holdings, the last company on this list at $6.7bn. Bid Corp. is a broad-line food service group that is listed on the JSE South Africa, with a presence in all continents of the world other than North America. The company acts as an investor and looks to realize existing potential in current foodservice operations and buying into acquisitive growth opportunities. Rounding up this list is MMI Holdings. The Value of the company is currently put at US$2.5bn. MMI Holdings can lay claim to being one of only two insurance companies to make this list. The company was set up less than 8 years ago, sometime in the month of December 2010 following the merger of financial insurance players Metropolitan and Momentum. The company has since made its way up the South African ladder to become one of the country’s top multi billion-dollar companies. MMI Holdings currently specialize in the provision of long and short-term insurance, savings, investment, and healthcare, asset and property management services. Are you Expanding in Africa? If you are looking for a Professional Employer Organization (PEO) that will ensure your business is fully compliant on the African continent, Africa HR Solutions can help you. We cover over 48 countries in Africa and safeguard your company against all compliance issues.